Before you know it, the holidays will have come and gone and you’ll be reflecting on how you “next year will be different”. The path to a holiday you enjoy starts with this webinar. During this webinar, Keith will be addressing the six areas one needs to consider when planning their “best holiday ever”. We’ll start with the power of hope, discuss how to transform hope into intention and weave our way through self-care, boundaries, and energy management. If you’re ready to approach the holiday season rather than have it sneak up on you, this webinar is for you! Keith Griffin is an ICF credentialed Productivity, Executive Function & ADHD Coach. He’s received training through both JST and The ADD Coach Academy and is an advocate of thriving with ADHD by focusing on one’s strengths. While based in the Atlanta metro area, Keith enjoys working with clients worldwide by phone or video conference. 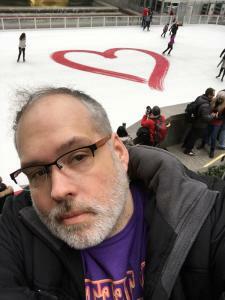 In addition to his coaching business, Keith serves the ADHD community through a position on ADDA’s Board of Directors and by co-facilitating our LGBT+/Poly Virtual Peer Support Group. In his spare time, Keith loves riding his bike, taking Daisy out for walks, traveling to new places, and recording the occasional “This ADHD Life” podcast episode. Being a life-long learner and having had a 20+ year IT career, he also keeps up with the latest tech trends, gadgets, productivity systems, and time-management methodologies.